Season 1 chapter 2 – and this time we are visiting the Line Work and are looking for a way to improve it. 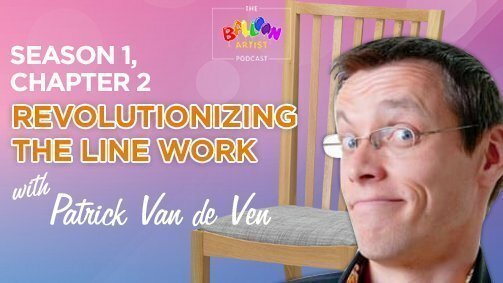 Patrick Van De Ven is a master twister, and he has revolutionized the line work. Sometimes kids may guess what balloon I’m making. At around 16.40 kids can make their own balloon in a workshop. Your child will have a balloon then.  pm Patrick over FB with the coupon code “BalloonArtistPodcast.com” and you will get 5 pdfs from Patrick for 30 USD instead of 37 USD. This will be valid for 3 months once the chapter is live. Outsourcing many tasks is easier with fiverr. From designing a logo for 5 dollars, to creating a voice over for an intro of a podcast (-; there is really nothing you can’t do in fiverr. But be responsible – aim for a good looking design and make sure that you are not too used to the low prices, as higher quality services costs.